Get a grip on both luxury and performance with a shift knob from the high-performance Jeep Grand Cherokee SRT8. The comfortable form of the shift knob is wrapped in perforated leather for a tactilely pleasing experience every time you set your Jeep in motion. 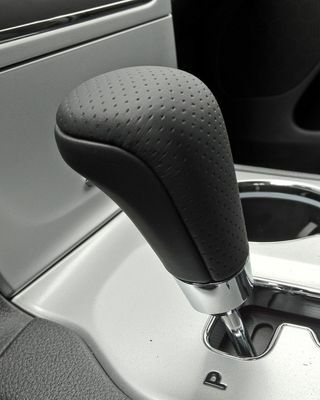 Whether you're upgrading your Jeep Grand Cherokee with higher level genuine Mopar parts, such as this leather-wrapped shift knob, or improving your ride with the best aftermarket accessories for better looks or greater performance, turn to JustforJeeps.com for low sale prices on everything you need for your Jeep. Sweet looking shift knob and easy as pie to install. A great mod that looks more in tune with my leather interior.